Our guest blogger, Steve Allen from ACL, explains the factors we need to consider to achieve balance when attempting to create an efficient and cost-effective cleaning process for PCBs and other electronic equipment. When setting out to remove contaminants from the surfaces of printed circuit boards and electronic equipment, a number of factors must first be considered. Determining the proper balance between these factors will substantially improve the cleaning efficacy. Identifying the proper cleaner for the soil type, ensuring compatibility with the surface, selecting the proper cleaning method, and maintaining proper temperature and dwell time are all criteria that must be taken into account when designing the most efficient and cost-effective cleaning process. can quickly loosen bound contaminants. Further complicating the picture is the need to consider solvent toxicity regarding worker exposure and the requirements of local environmental regulations concerning air emissions and disposal of waste. First, consider what type of soil needs to be removed from the surface of the equipment or circuit board. This will immediately suggest the best cleaner for the job. If the surface is covered with light dust and particulates, then a product like ACL's Turbo Blast duster will quickly and easily remove these loosely bound contaminants. If the contaminants are ionic like flux residues, inorganic salts, or acidic materials, then cleaning with polar solvents like alcohol is recommended. If non-polar substances like oil and grease are contaminating the surface (which traps particulates to the surface), then using a non-polar solvent cleaner to dissolve the oil and flush away the bound particulates is recommended. Non-polar solvents like isohexane (hydrocarbon-based) cleaners are excellent solvents for dissolving non-polar oils. ACL Staticide solvent cleaners contain both polar and non-polar solvents. They will be highly effective on all types of contaminants. ACL Electronics Cleaner Degreaser PF and our new fluorinated solvent mixtures including ACL Precision Rinse VT and ACL Flux Remover Heavy Duty are all excellent, very competitively priced electronics cleaners for both ionic and nonionic soils. In addition to matching the cleaner with the contamination to be removed, the end-user should consider if the solvent cleaner is compatible with the surface material being cleaned. Aggressive solvents should not be used on painted surfaces as they can attack and remove paint. Additionally, plastic surfaces can be adversely affected by some of these same strong solvents. Cleaners containing ketones like acetone or chlorinated solvents like methylene chloride will strip paint from metal surfaces or soften various sensitive plastics like polycarbonate and polystyrene. The surface of harder plastics can be “crazed,” or fractured, and will develop fine cracks when exposed to ketones and various chlorinated solvents. The greater strength ACL contact and flux cleaners like Precision Rinse NF, Precision Rinse NS, and Flux Remover Heavy Duty should be tested for compatibility with any plastics prior to universal use in any particular application. End-users must also consider the fastest, most efficient, and most economical method of cleaning. If the decision is made to use a solvent cleaner, then it’s important to consider whether to use an aerosol product or a bulk liquid. In most electronics PCB rework and repair processes, the appropriate cleaning application should address the cleaning of only a few boards at a time as they are prepared for rework. The cleaning likely takes place less frequently and it is less costly and more convenient to use an aerosol product. when choosing the appropriate cleaning application. 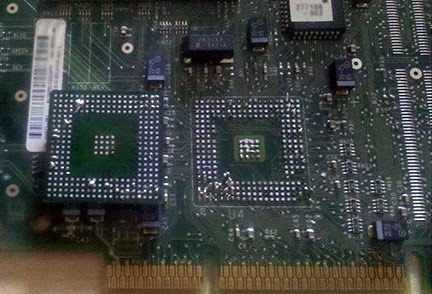 When the cleaning process requires the removal of a thick coating of rosin flux, oil/grease, or stripping a conformal coating from the entire printed circuit board, then increasing the dwell time or residence time (duration of time the soil is exposed to the cleaning solvent) is recommended. This can be accomplished by a two-step procedure where the PCB is flood-rinsed once, allowed to dry, and then flood-rinsed a second time. The addition of light brushing between each step can aid in loosening some encrusted soils, oils, and fluxes. The use of a convenience delivery method such as an aerosol solvent alleviates the need for capital expenditure and investment in automated continuous loop systems that may provide unnecessary excess cleaning capacity in many facilities. Encrusted soils lying under components are especially hard to remove. If the residence time in the cleaning solvent is too short, the solvent does not have sufficient time to penetrate under the components. There will be only a partial dissolving of the trapped residue, some of which will flow across the board. As the solvent cleaner evaporates, this partially dissolved residue will precipitate onto the board, leaving streaks of soil across the board surface. This is an indication of “incomplete” cleaning and is easily solved by running the board back through the aerosol cleaning process. In summary, proper cleaning of equipment surfaces or electronic assemblies requires finding the right balance between the variable conditions of cleaner-contaminant/substrate compatibility, cleaning method, cleaner aggressiveness/strength, and residence time. All cleaners will not work equally well with the same types of soils or in the same amount of time. Each cleaner has its strengths and weaknesses and finding the right balance of the above factors for the particular cleaner being used will result in developing the fastest and most cost effective cleaning method for any application. Q Source would like to thank our guest blogger, Steve Allen. We appreciate your contribution to The Q Source Resource. Thank you for sharing your expertise. For more information about the ACL cleaning products mentioned in this article, please visit the ACL Staticide Department at QSource.com. You may also contact us via email or phone at 800-966-6020. If there's a product or topic you'd like to see The Q Source Resource write about please let us know. We'd also appreciate if you share this blog post with your friends and colleagues via the social media links below. If you have questions or comments about ACL Staticide products or about cleaning printed circuit boards and electronic equipment please leave us a message in the comments section.